Annie and Brett…where do I even begin with these two beautiful souls. They are selfless, full of light, love and passion. Their families just exemplify that. They met while they were going to school at The College Of Wooster, hearing their stories from when they met for the first time was nothing short of beautiful. Brett proposed to Annie using a heard of alpacas, yeah that’s right, alpacas. Now they live together with their crazy cute doggies in the beautiful state of Colorado, and are always going on marvelous adventures with one another (yeah, I stalk them on Instagram…not ashamed) Annie also hikes 14,000 foot mountains for fun, total badass if you ask me. 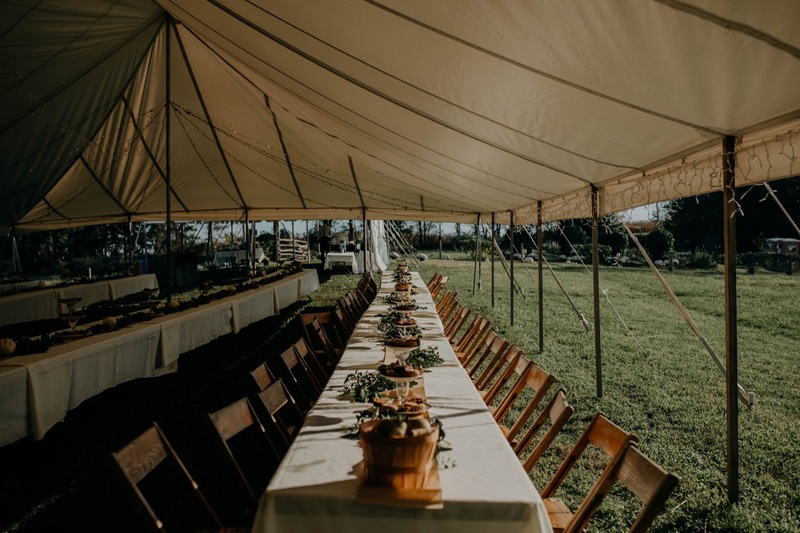 Their wedding and reception took place on Annie’s parents farm in Millersburg, Ohio. Annie’s family spent the last year making it perfect (and they did just that, it WAS perfect). Throughout the whole wedding day there were so many special little details everywhere. Brett wore one of his father’s favorite ties, Annie wore her grandma’s wedding dress from 60 years ago, and the rings they exchanged where family heirlooms. For dinner there was the amazing Umami Bites food truck, SO GOOD! They partied the night away under the stars and it was fantastic!